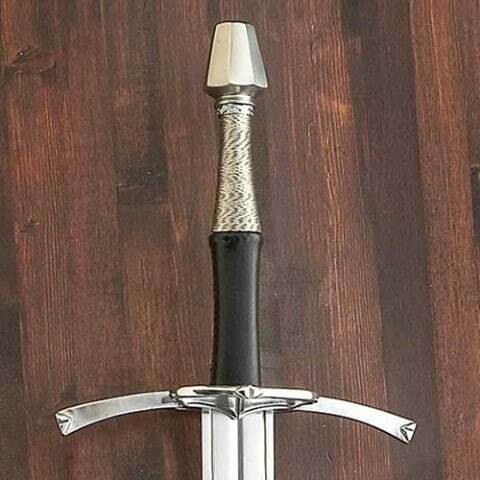 A beautiful and very functional sword. This versatile medium weight ‘hand and a half’ long sword was a particular favourite as a weapon of war and for general self defence against robbers. Often called a ‘hand and a half’. Medium weight allows it to be used and carried easily. Wood grip wrapped with leather and wire. 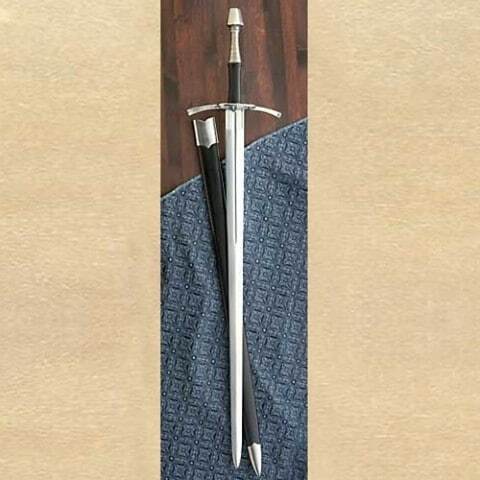 Well tempered blade 92.5cm x 5cm wide. Overall length 116cm. Weight 1.5kg. 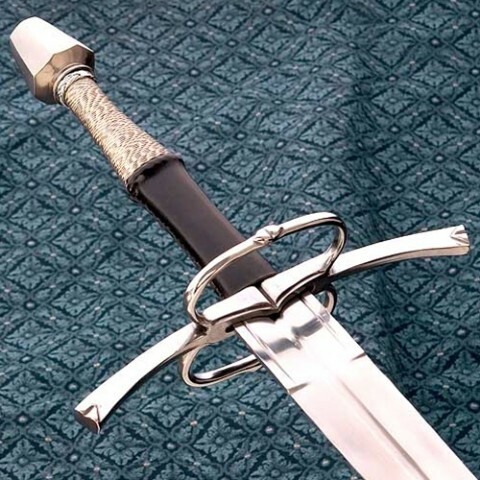 Leather covered scabbard with silver parts. Can be factory sharpened for an additional $35.